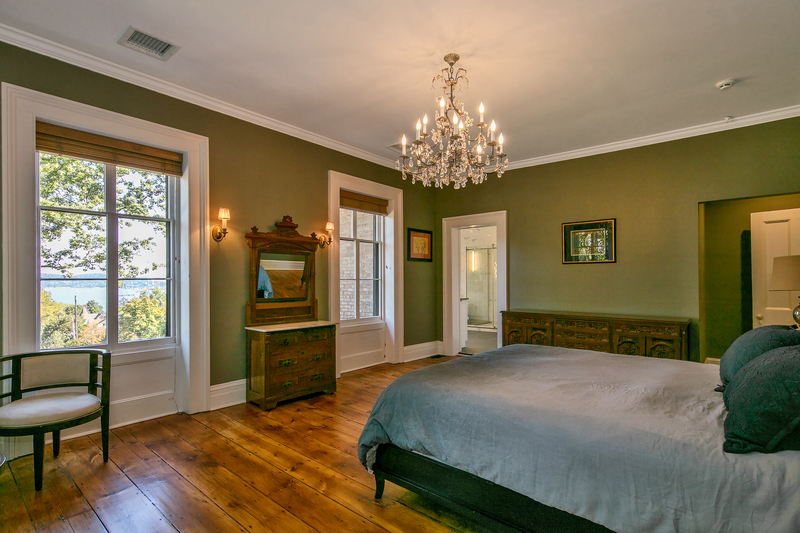 Welcome to the Ross-Hand Mansion, one of the most admired homes in the Hudson River Valley. 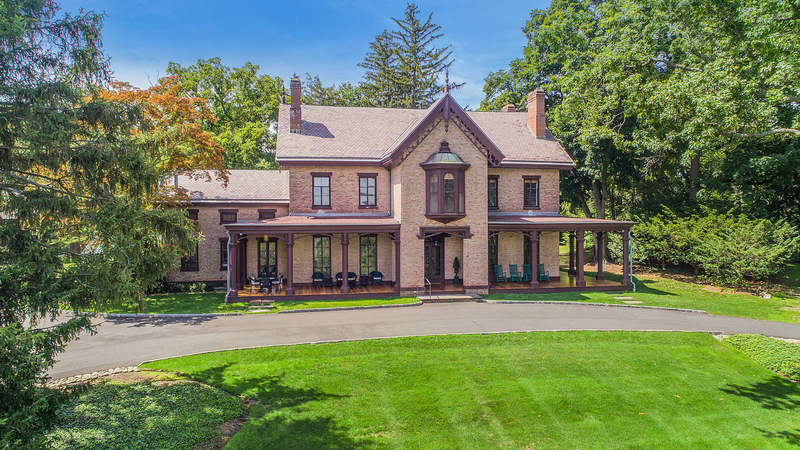 Perfectly situated at the top of 4 private, manicured acres designed by the great landscape architect Andrew Jackson Downing, considered to be the founder of American landscape architecture. 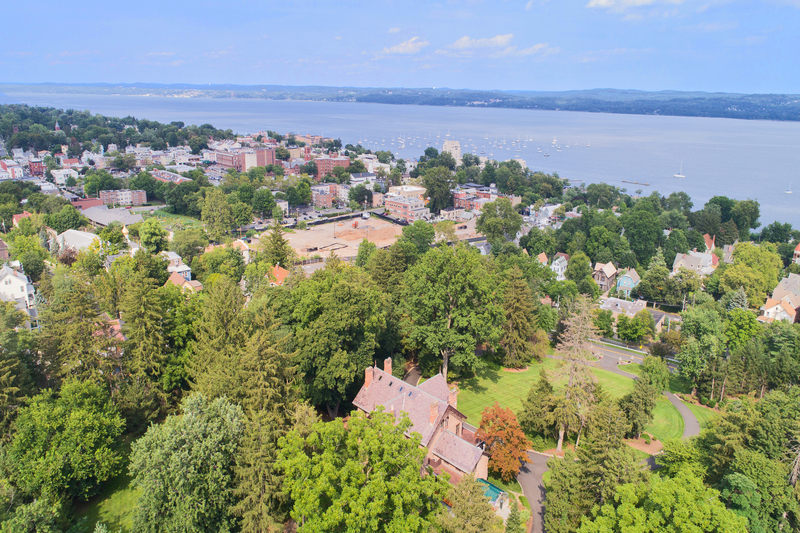 The mansion offers commanding views of the Hudson River and the Village of South Nyack below. This Gothic Revival mansion was built for famed architect Azariah Ross, who designed the stone bridges throughout Central Park and the stone retaining wall surrounding the U S Military Academy at West Point. Ross also built several notable buildings in Nyack including Nyack’s first brick commercial building at 1 Piermont Avenue which housed Ross’ general store and the Nyack Express Company building at 38 High Avenue. After Ross, the property was acquired by Mary and William H. Hand. Much of the detailed woodwork in the home was added by Hand, known for his intricate woodwork in the mansions in Newport, RI. He was also an entrepreneur, savy business man and a master builder, building many of the grand homes along Park Avenue in NYC. He helped build Castle Rock aka Osborn’s Castle, in Garrison, NY – one of the most recognizable man-made landmarks in the Hudson Valley – rebuilt Lord’s Castle in Piermont and built many mansions for the coal barons in Scranton, Pa.
Their grandson, the son of Walter Hand was also named William Henry Hand. The younger Hand was Thomas Edison’s assistant and worked alongside Edison at the home. What was once Hand’s and Edison’s workshop is now a fully outfitted home gym. Interestingly, the younger Hand’s mother was from the DeClark family, who came to New York in the 1600’s. His great grandfather Daniel DeClark built the DeWint House in Tappan. He lived in the home for 40 years before it became George Washington’s headquarters. 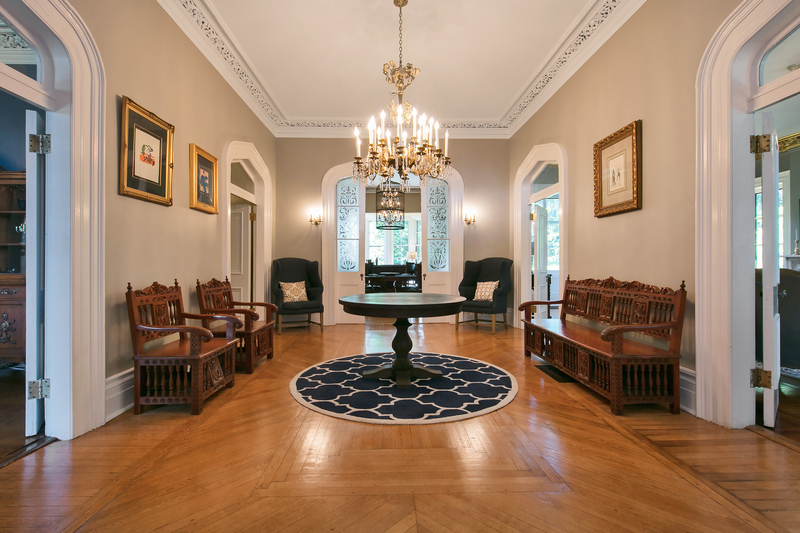 The Ross-Hand Mansion was originally built as a summer home, the front-to-back living room features two of the original fireplaces, which allowed the Hands to enjoy the home well into the colder months. 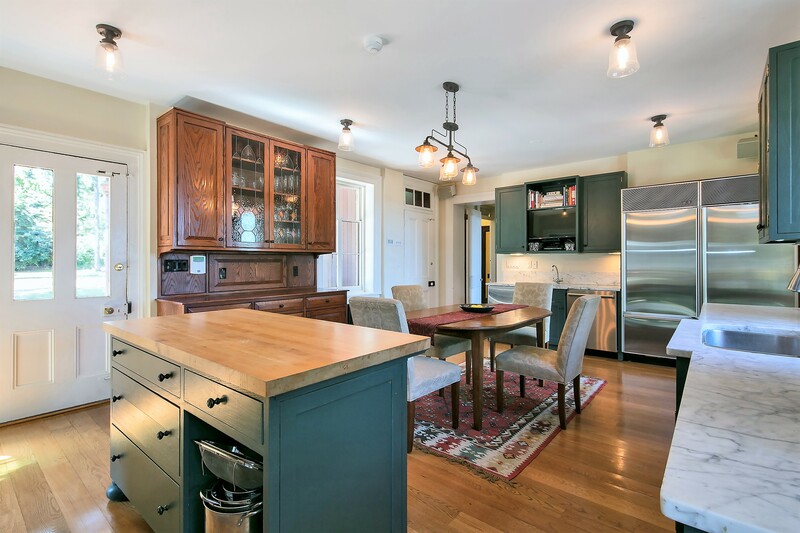 Over the years, 5 more fireplaces were added and the home become their primary residence. Of special note is the Carrera marble Italian fireplace that is the focal point of the library. 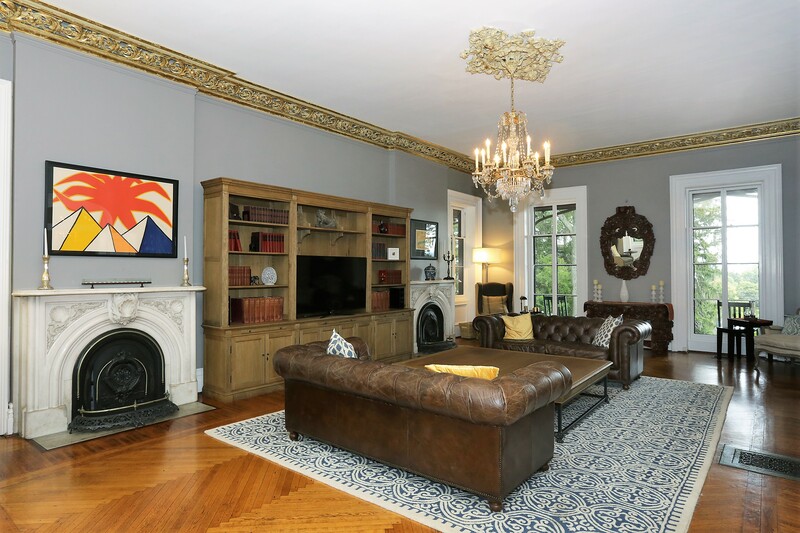 According to William Hand’s grandson, Hand purchased the fireplace from the estate of A.T. Stewart, who was the founder of the first department store in the country and lived in a white marble mansion on Fifth Avenue in New York. Installed in 1890, it was one of the few Italian fireplace designs in the country and its uniqueness was noted by The Metropolitan Museum of Art. The marble used was purportedly made from marble that Michelangelo used. Grand rooms and elegant details combine beautifully with the thoughtful updates making for warm and comfortable modern living. 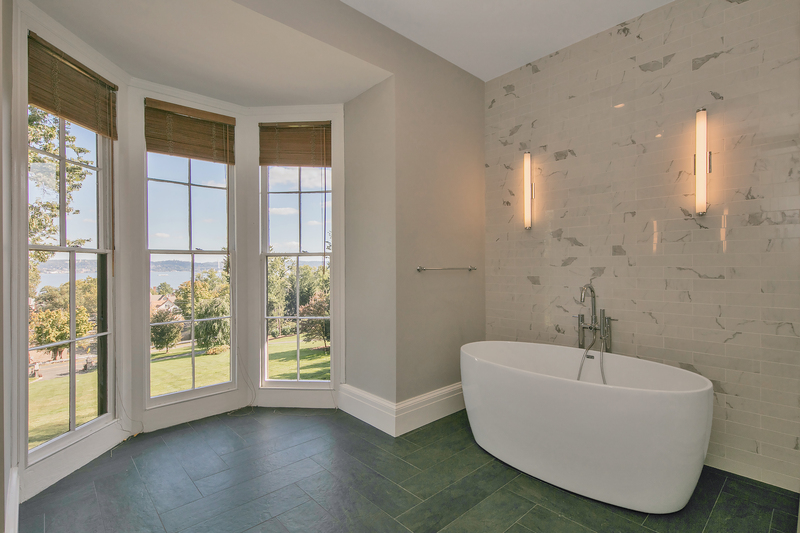 There is a brand new guest room with en suite bath and a stunning new riverview master bedroom suite featuring a fireplace, multiple closets and a magnificent bath with radiant heat. There is a private au pair suite and two additional bedrooms and bath on the second floor, making for a total of 5 bedrooms and 4 full bathrooms on this level. The kitchen features floor-to-ceiling windows overlooking the front and back yards, as well as an exposed brick wall, center work island, two SubZero refrigerators and two dishwashers. 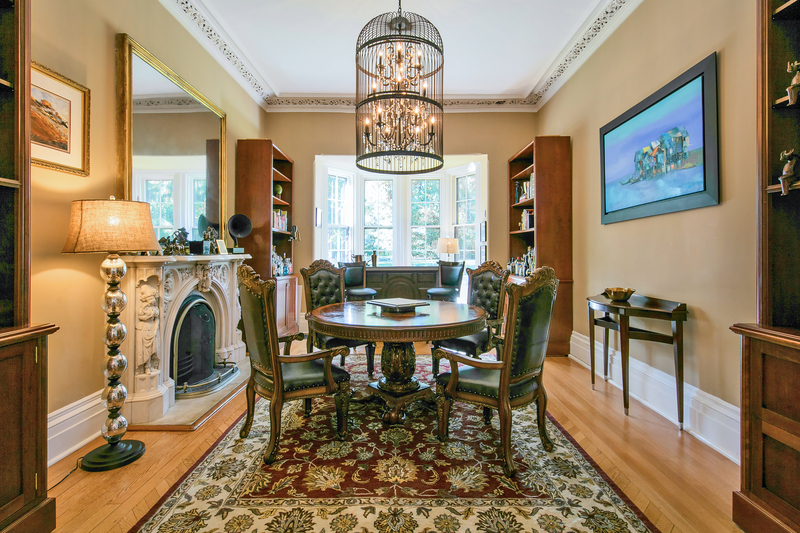 The current owners added magnificent chandeliers that grace the foyer, dining and living rooms and the library. Just a few of the other features you will enjoy include the full, walk-up third floor, greenhouse, barn with garage and fully outfitted gym, seven fireplaces and the wrap-around veranda. 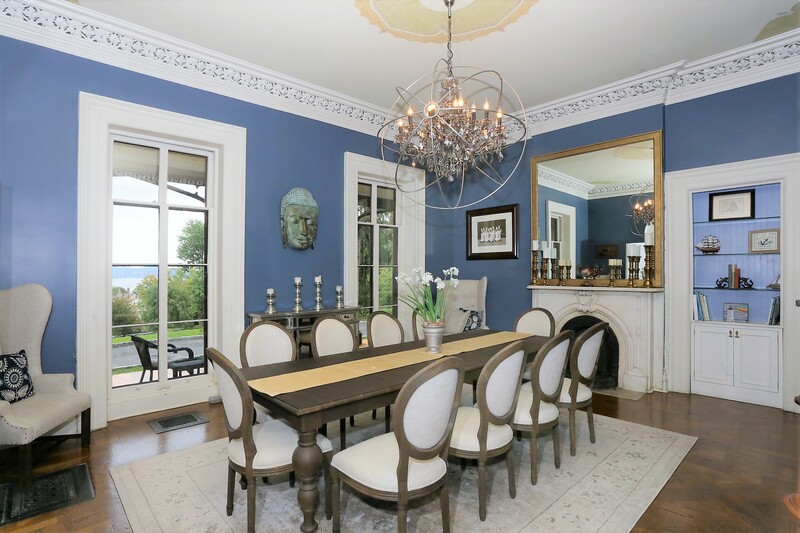 Don’t miss this once in a lifetime opportunity to own this iconic home for sale in Nyack. Check out TheHandMansion.com for more details. Want to hear more really cool stories about the house and its previous owners? 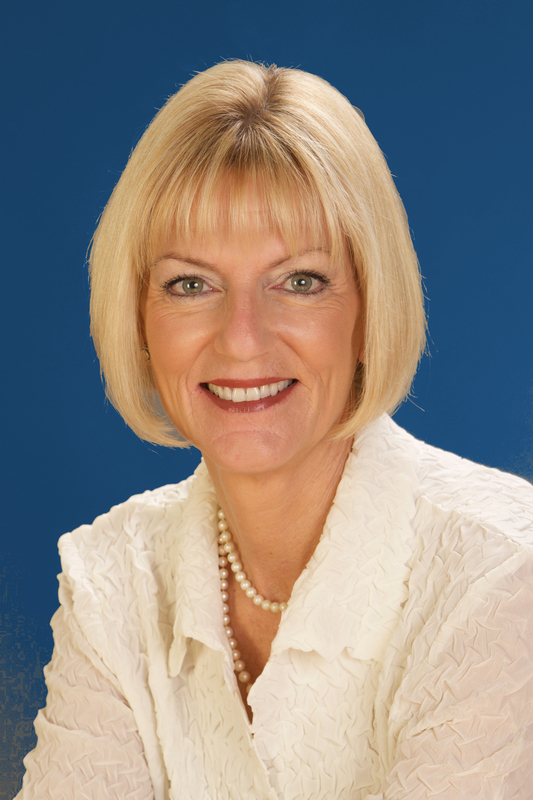 Listen to the fascinating interviews with William Hand. His oral history was recorded by the Hudson River Valley Historical Society.